The Odisha Forest Department has asked Lamer Gram Sabha in Kalahandi district to follow a slew of measures if it wants to get Transit Permit (TP) for bamboo. A permit document allows them to transport and sell bamboo commercially under the Scheduled Tribes and Other Traditional Forest Dwellers (Recognition of Forest Rights) Act, 2006 (FRA). The Divisional Forest Officer (DFO), Kalahandi, in a letter dated January 12, communicated the conditions to the Gram Sabha. The letter was in response to the Gram Sabha’s request seeking revalidation of the Transit Permit book. In the letter, the DFO asked the Gram Sabha to follow the bamboo cutting rules as laid down in the micro plan and also submit monthly progress reports to the department. The letter clearly specifies that if these conditions aren’t met the “Gram Sabha is liable for cancellation of this authorization” over collecting the bamboo. This letter follows many instances of such directions by the Odisha Forest Department in matters pertaining to tribal communities’ rights over Minor Forest Produce (MFP). In the same month, the forest department was imposing similar diktats in Pipadi village. There, the TP for bamboo was rejected saying that the Community Forest Rights title allowed for the collection and sale of MFPs only up to head load/bhar/cart load/cycle. The forest department maintained that there is no provision in the title to allow commercial sale and transport of such forest produce. All these instances, where the Forest Department is creating its own rules, are against the provisions of FRA. The law only allows the Forest Department to have a “hand-holding” role when it comes to implementing the provisions of FRA. “It is not mandatory for the Gram Sabha to follow the modalities prescribed by the forest department in its CFR areas. The legal powers vested within Gram Sabhas for the control and management of CFRs under FRA is completely overriding the various powers of Forest Department as provided in other laws,” said Chitta Ranjan Pani, a tribal rights activist in Odisha. This has also been stressed on by the Ministry of Tribal Affairs (MoTA). MoTA, in its 2012 guideline to all the states, mentioned under the head “Minor Forest Produce” that the state government should ensure that the forest rights related to MFPs under section 3(1)(c) of the Act are recognised in respect of all MFPs, as defined under Section 2(i) of the Act, in all forest areas, and state policies are brought in alignment with the provisions of the Act. The guidelines also raise concern over the monopoly of Forest Development Corporations on MFPs. “The monopoly of the Forest Corporations in the trade of MFP in many States, especially in case of high value MFP such as tendu patta, is against the spirit of the Act and should henceforth be done away with,” the guidelines say. “It is pertinent to highlight that the recent amendment in the Scheduled Castes and Scheduled Tribes (Prevention of Atrocity) Amendment Act, 2015 mentions that infringement of forest rights and negligence of duty by a government officer will be treated as ‘atrocity’ under the under Act. Such act of the forest department is essentially leading to conflict with the gram sabha and can be booked under the PoA to harass the Gram Sabha on account of TP,” Pani said and added a compliant under the same will be filed soon. "The forest department has to give technical guidance to the communities. This letter was sent because we saw clear felling of bamboo happening in these areas. 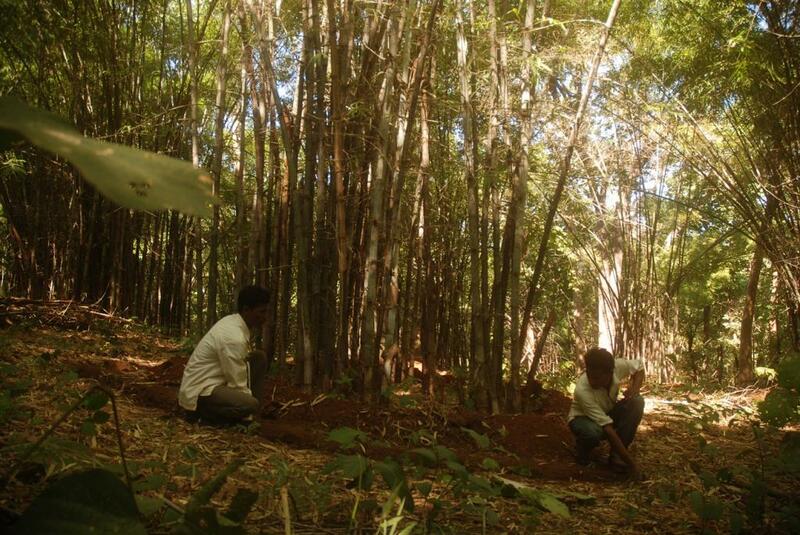 Under Odisha government notification, only fourth year bamboo is to be harvested. This was not the case," says a forest official.